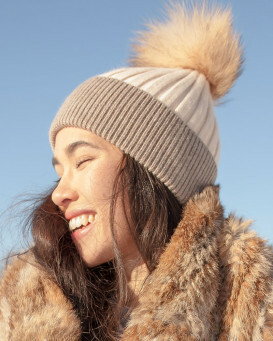 Look adorable in our Nova Blush Braided Cable Knit Beanie with Finn Raccoon Pom Pom for her. 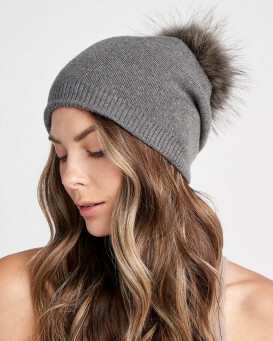 The removable pom pom is crafted with lush Finn Raccoon Fur. The shell is composed of cable knit intricacy and a variety of soft fabrics. 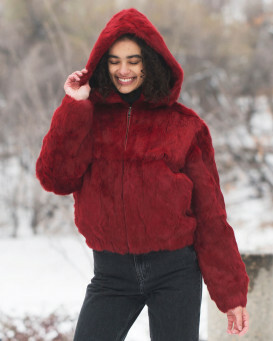 A ribbed adjustable fold over cuff forms a unique style that is ultimately cozy. 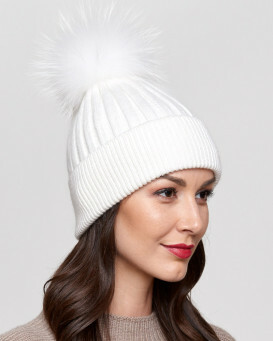 This beanie is one size fits all to make the perfect gift for women. The soft blush color is super girly and beautiful with an all black outfit. 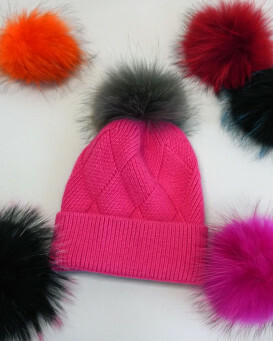 Don this beanie to a fun fall or winter event and feel warm and stylish at once.